I’m not sure about what it’s like where you live, but here in Portland kale chips seem to be all the rage. Some are very good … some not so. They are expensive, with the best ones going for just shy of $7 for a quantity that I believe consists of about 1/4 to 1/3 of your average bunch of kale. I decided to attempt DIY. My first attempt (in the oven, at the lowest possible setting) was not to my liking. Not saying it’s impossible, so have at it. 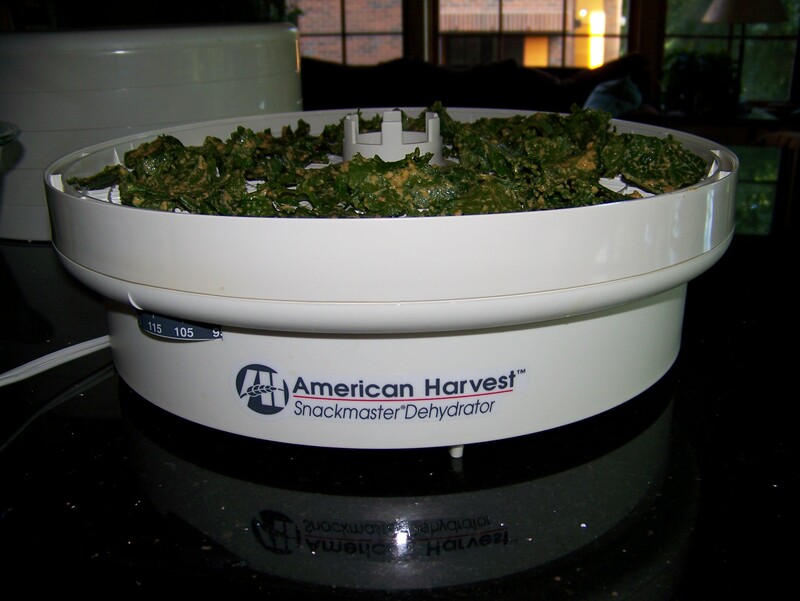 My decision was to break out and dust off the old American Harvest dehydrator (leftover from my mushroom harvesting days, and long neglected). A few trials (no real errors) later, I came up with the following recipe for what I (humbly) think might be the best kale chips on the planet. 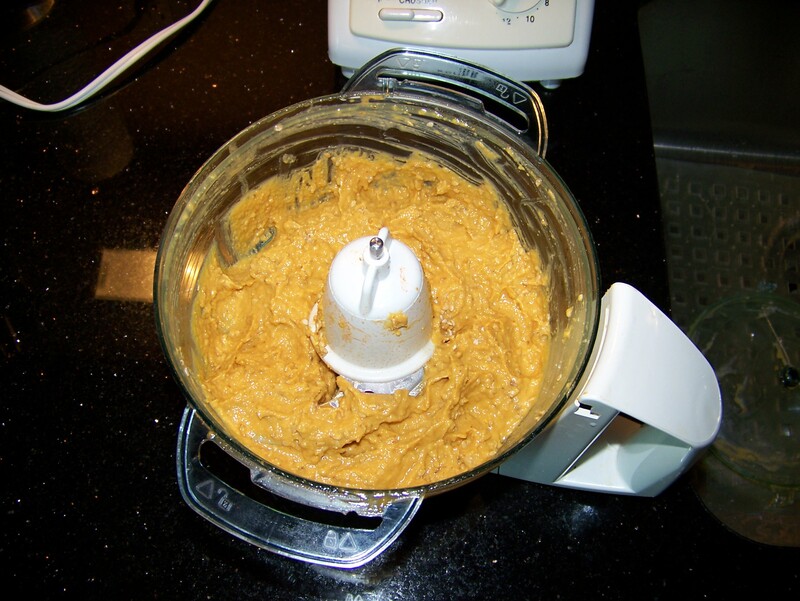 Combine all ingredients through oil in food processor and pulse until creamy. Add water until cake batter consistency. Add sesame seeds and pulse to mix. 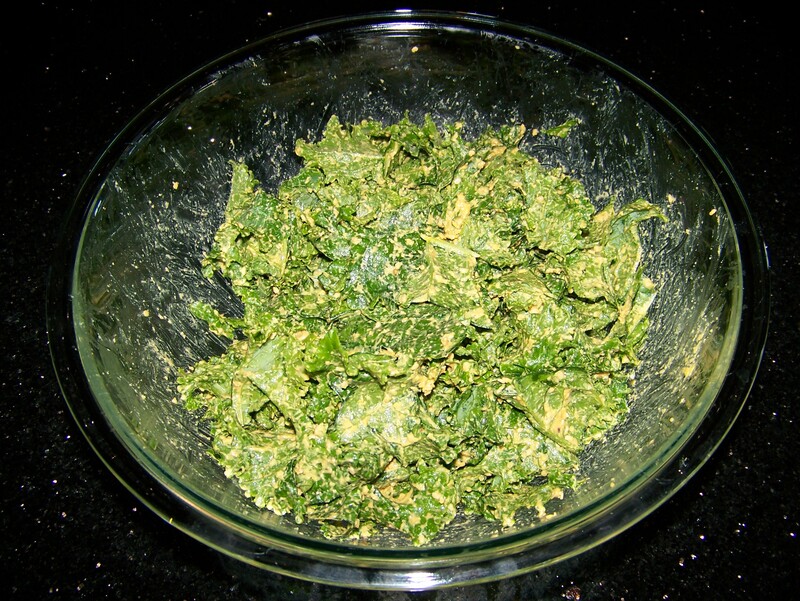 In a large bowl, combine kale and processed mixture. 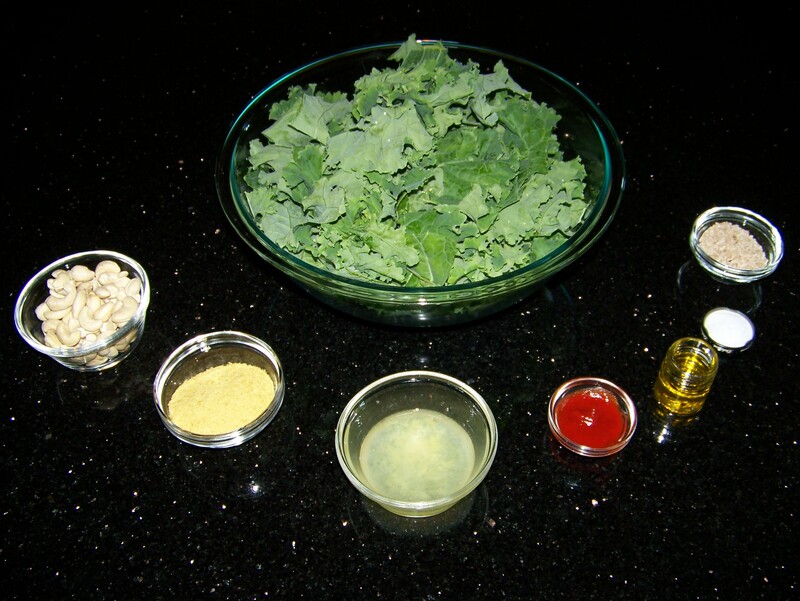 Mix, using your hands to separate and somewhat equally distribute the coating on the kale. 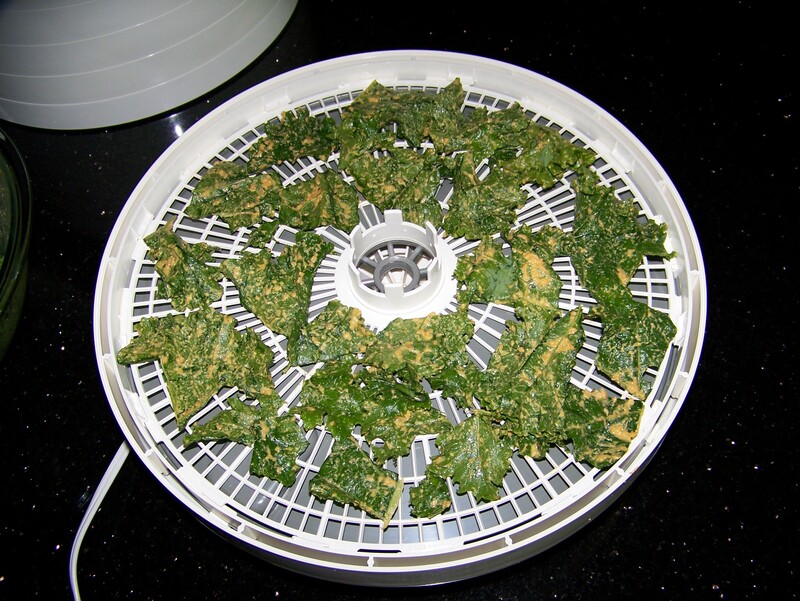 Spread coated kale pieces on dehydrator racks. Don’t worry if there’s a little touching going on (they will stick together, but once they are dry and brittle they will break apart again) but don’t overlay. Repeat with as many racks as necessary. 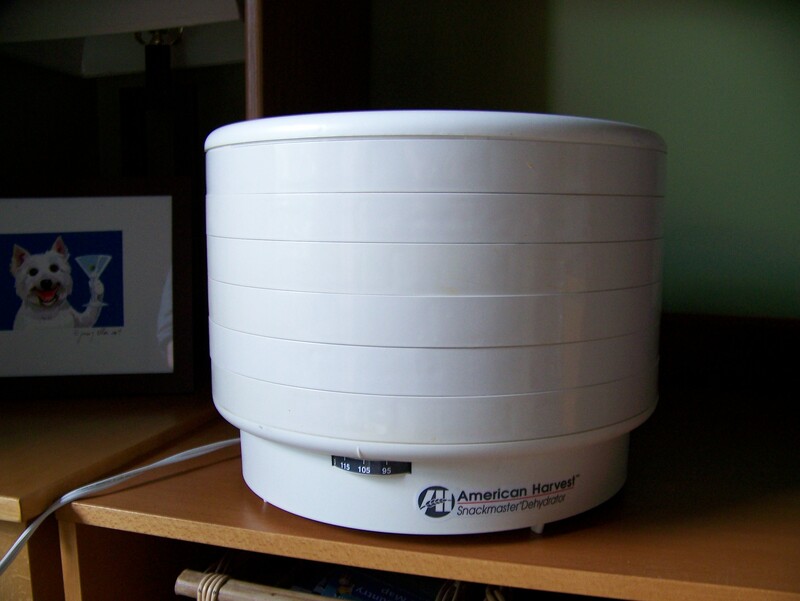 Dehydrate at 115°F for 24+ hours. 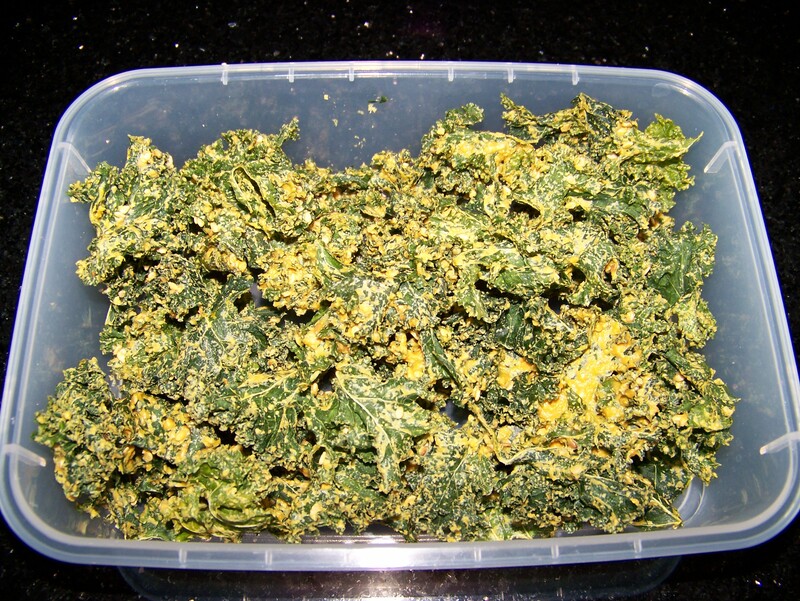 Fresh kale, coated with the topping.